Do you want a £1 off your pint? come to the cask and feather and watch the man utd games. 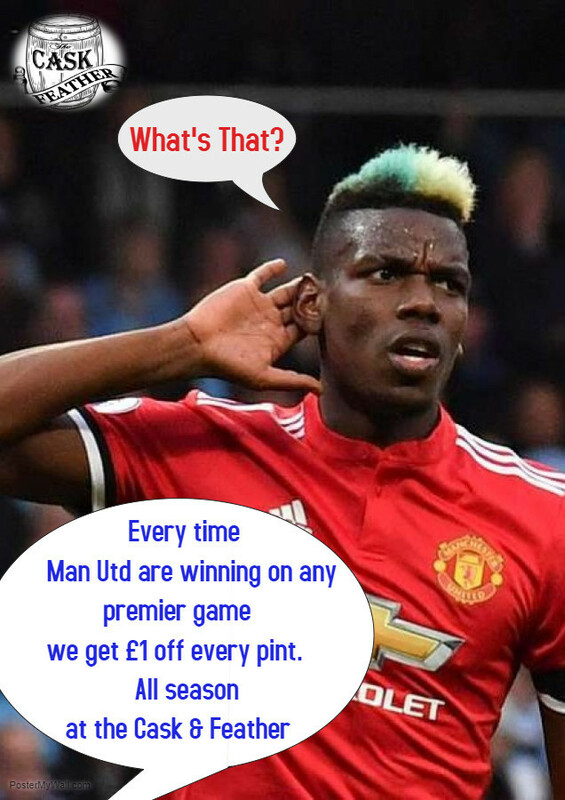 throughout the season every time Man Utd play a premier game and their WINNING, we will give you £1 off every pint..